Courtney G Trylovich, M.D., F.A.C.O.G. Dr. Trylovich received her Bachelor of Arts in political science from The University of Texas at Austin in 1988. She attended The University of Texas Health Science Center at San Antonio for medical school and residency training, which she completed in 1997. She has lived in the Plano area since that time and has been affiliated with Texas Health Presbyterian Hospital of Plano for over twelve years. She has served on numerous committees including serving as the vice chairman and chairman of the OB/GYN Department at Presbyterian Hospital of Plano. She has been honored with the "Readers Choice Award-Best OB/GYN Collin County and has been voted by D-Magazine as a "Best Doctor in Collin County for 2011 and 2012." 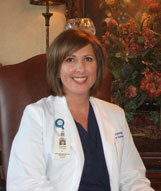 Dr. Trylovich has been affiliated with Northlake OB/GYN since 1999 as a physician and a patient. Dr. Trylovich is board certified in obstetrics and gynecology and is a member of the Dallas County Medical Society, Texas Medical Association and is a Fellow of The American College of Obstetrics and Gynecology. Dr. Trylovich is married to Tim ("the best husband in the world") and has two highly spirited children, Max and Elizabeth. She enjoys cheering on her children at their volleyball and baseball games, volunteering at their school, helping them with Sunday school reading for her book club, and traveling with her husband and children.